Phone-Tap is a crazy clicking ga me for Mobile-Phone sales people to prove their worth! 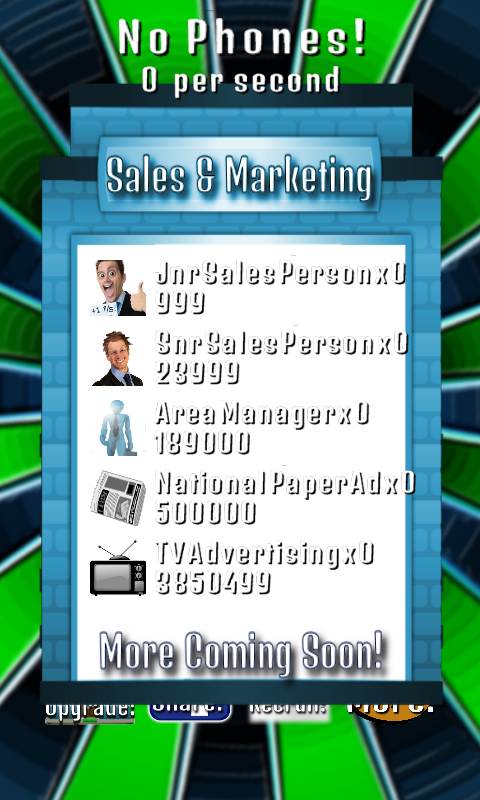 Each tap of the mobe counts as a sale. The more sales you get, the more upgrades you can buy, and the more staff you can recruit. Upgrades increase the value of each tap. 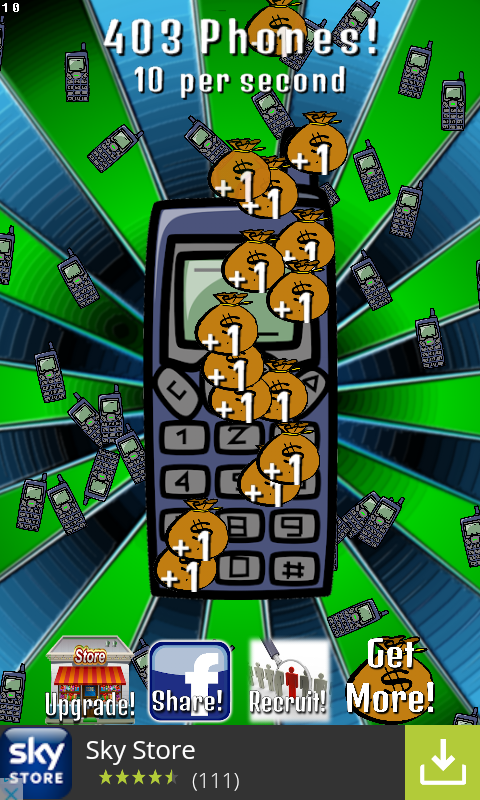 Staff will automatically tap the phone for you! 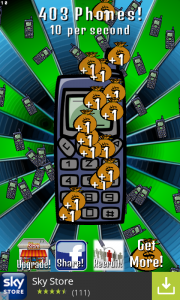 After two weeks of toil, untold upset, frustration, lost sleep, and neglected wife and kids, I am finally almost ready for a public release of Phone-Tap! Upgrade store tween animations complete. 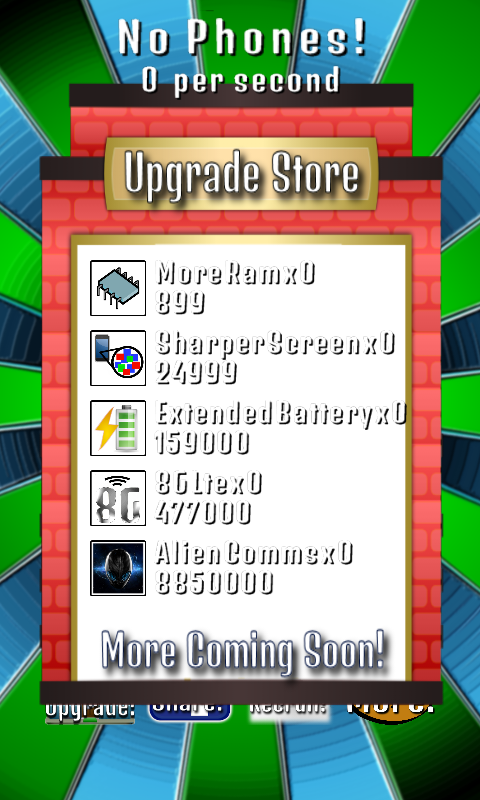 The store now fades, scales and slides into position when selected, and the upgrade items elegantly slide into place from the side of the screen. Hit the back button to back out. 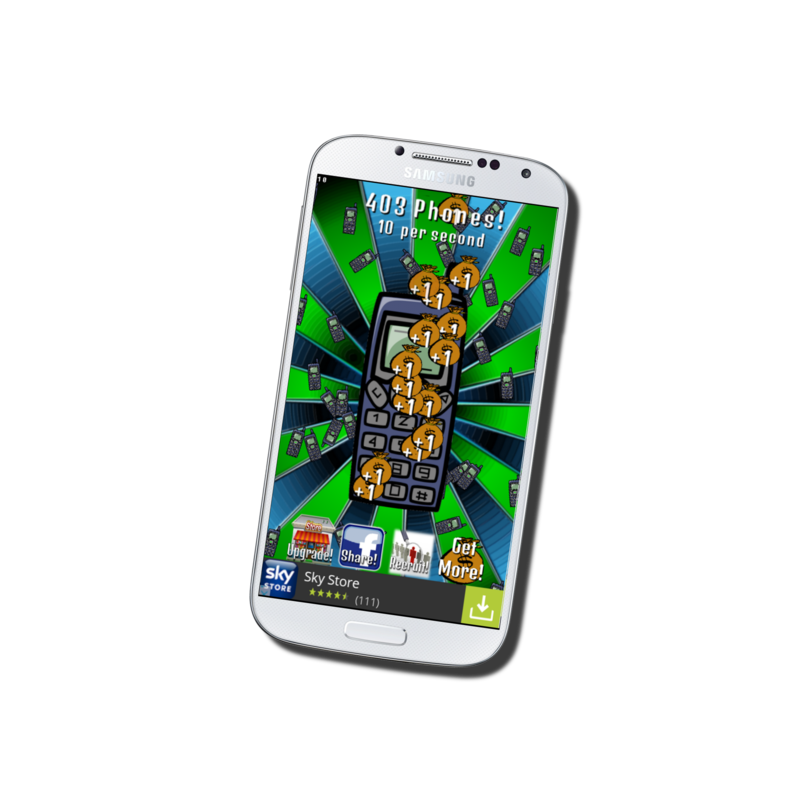 AdMob banner and Chartboost Interstitial ads successfully implemented.